The political upheaval in Nicaragua, El Salvador, and Guatemala had a devastating human toll at the end of the twentieth century. A quarter of a million people died during the period 1974-1996. Many of those who survived the wars chose temporary refuge in neighboring countries such as Honduras and Costa Rica. Others traveled far north, to Mexico, the United States, and Canada in search of safety. Over two million of those who fled Central America during this period settled in these three countries. 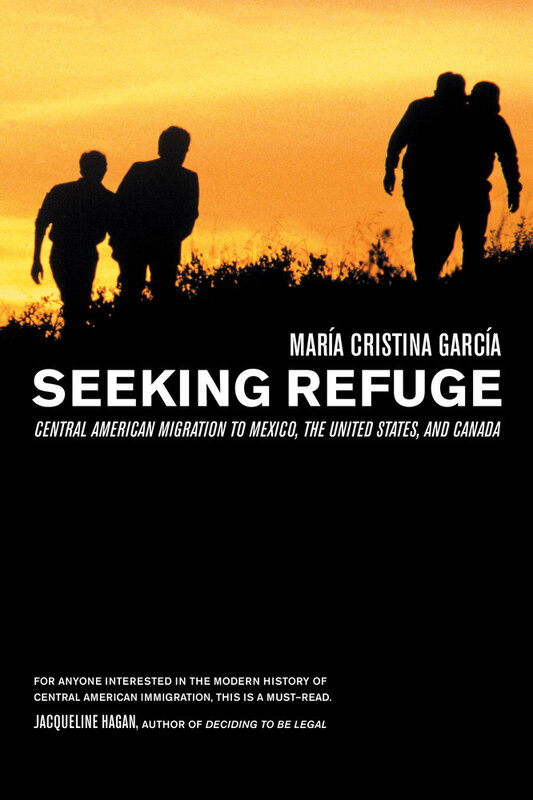 In this incisive book, María Cristina García tells the story of that migration and how domestic and foreign policy interests shaped the asylum policies of Mexico, the United States, and Canada. She describes the experiences of the individuals and non-governmental organizations—primarily church groups and human rights organizations—that responded to the refugee crisis, and worked within and across borders to shape refugee policy. These transnational advocacy networks collected testimonies, documented the abuses of states, re-framed national debates about immigration, pressed for changes in policy, and ultimately provided a voice for the displaced. García concludes by addressing the legacies of the Central American refugee crisis, especially recent attempts to coordinate a regional response to the unique problems presented by immigrants and refugees—and the challenges of coordinating such a regional response in the post-9/11 era. María Cristina García is Associate Professor of History at Cornell University and the author of Havana USA: Cuban Exiles and Cuban Americans in South Florida, 1959-1994 (California, 1996).